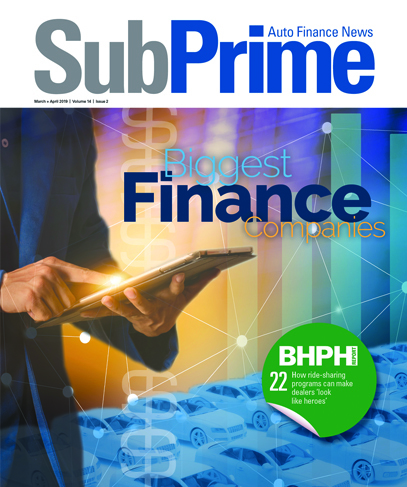 YORBA LINDA, Calif. — Flex Fund Financial Services LLC recently introduced Flexible Trade-Ins to finance dealers' trade-in vehicle transactions that involve outstanding loan balances, according to officials. Dealers have the opportunity to use the new program to immediately pay-off loan balances for trade-in units, the company reported. "Flexible Trade-Ins allows our dealers to conserve precious cash while simultaneously expanding their ability to hold and retail desirable trade-in vehicles," explained Cliff James, Flex Fund's chief executive officer. He went on to note that usually, dealers cannot receive the title to a purchased trade-in until they have paid the outstanding funds to the vehicle's lien holder. Moreover, dealers cannot get inventory financing until they have a unit's title. Policies such as these can consume two of a dealer's most precious commodities - time and cash, James pointed out. "Flexible Trade-Ins dramatically expands a dealer's potential related to trade-in vehicle business because it conserves cash and saves time. This new program is another example of Flex Fund listening to our customers and then responding with an innovative solution," James said. In other recent news, Flex Fund announced it has entered into a multi-auction operating agreement with Verastar, an independent salvage auction group. Through the deal, Flex Fund will partner with seven Verastar auctions in Georgia, Tennessee and North Carolina, including Verastar's regional Atlanta auctions, to provide turnkey inventory financing for Verastar's salvage buyers. "Verastar's well-established presence in the salvage auction market, combined with Flex Fund's innovative inventory financing options, creates the perfect solution for today's salvage buyers," he added. Finally, Flex Fund announced its partnership with Pinnacle Financial Group to provide used-car inventory financing for dealers. More specifically, officials said Pinnacle will represent Flex Fund's floor-plan products with its existing network of field sales representatives serving dealers in a six-state region. Based in Bethesda, Md., Pinnacle primarily works in the Mid-Atlantic region. "We're thrilled to join Pinnacle, a successful regional player in the automotive inventory financing industry," James reported. "This mutually beneficial relationship provides Flex Fund with an established base of customers and proven sales team in a key geographic area. "In turn, Flex Fund's innovative inventory financing further strengthens Pinnacle's already strong array of financial solutions for independent dealers," he concluded. For more information on the Flex Fund, call (866) 499-FLEX, or visit www.flexfund.net.